By Anna M. Tinsley, Fort Worth Star-Telegram, 08/31/13 – Ambitious plans to let Texans openly carry handguns throughout the state — and to let college students carry concealed handguns on campus — fell by the wayside during the legislative session earlier this year. But lawmakers pushed through several less far-reaching measures, giving Texas gun owners more freedoms — shrinking the required training time for those seeking concealed handgun licenses, letting CHL holders leave their weapons in parked vehicles on college campuses, even letting Texans renew those licenses online without taking a renewal class. “It’s a mixed bag,” said Curtis Van Liew, a concealed handgun license instructor who lives in Watauga. A number of gun proposals that passed the legislature and were signed by Gov. Rick Perry become law Sunday. Critics say they aren’t sure lawmakers made any headway with the new laws. “Fifteen hours is too long, but with passage of this bill I will quickly be getting my CHL,” said state Sen. Donna Campbell, R-New Braunfels, and author of the measure. Van Liew said he isn’t convinced this is a good idea. No matter what the changes, Van Liew said it’s important for Texans to legally be able to protect themselves. 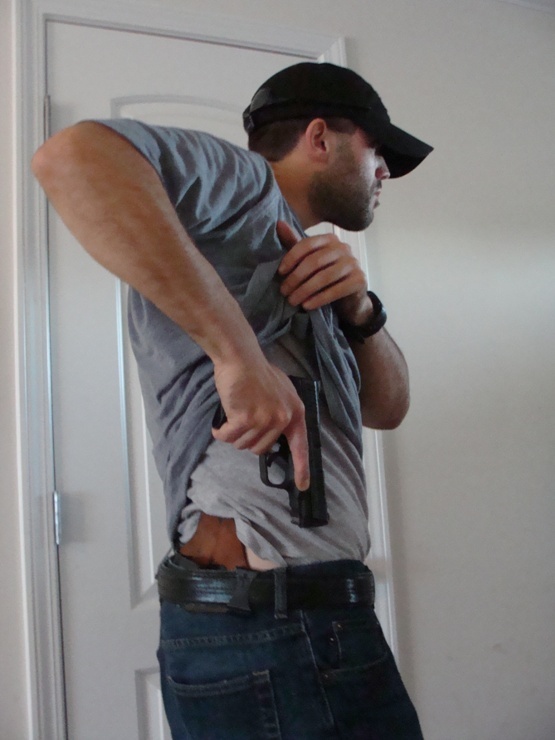 I didn’t know that concealed handgun permit holders didn’t actually have training in the state of Texas? I think it’s great that the state of Texas is looking out for its citizens by expecting training for the handler. I think it a great practice to put this law in action for every state (even if it doesn’t make much headway). Thank you for the lesson in preparation for a firearm handlers permit. Not sure why I need to attend another conceal class after moving here from another state. My current license is up to date and the state required 10 hours of class time. The reason for moving is that I’m a retired military veteran. The state is awesome for waving all fees on the state level for applying for a license. I’m just not sure if I want to pay for another $100 for a class that i could teach. In response to your inquiry concerning out of state Handgun Licensing. I taught the HL class for 21 years, giving up my certificate this past year. In addition I am a licensed TX Peace Officer. You did not mention what state you have a license from so I will assume it is one that has reciprocity with Texas. As you know many states recognize license from other states, as long as each has essentially the same curriculum in their courses and the governors of each of the states have signed formal reciprocity agreements. There is not a standardized matrix for handgun training. Each state has their own idiosyncrasies when it come to where you can carry and authorized use of force. Many states have Stand Your Ground Laws (Texas calls it Castle Doctrine) but they are not uniform thru out the United States. Having a license from one state does not assure you that you know the law of the state you are in and you are required to obey the laws of the state you are physically in at the time not the one you have the license from. As long as everything goes well and you are not in a shoot situation life will be ok. However if it goes bad and you end up on the witness stand in either a criminal or civil trail it can get ugly. For instance,the plaintiff’s attorney asks you where you live, then he will ask do you have a license to carry and you will say yes, then he asks from what state and you say xxxxxxxxxxxxxx. He will then ask ok Mr. xxxxxx, as a permanent resident of Texas why don’t you have a Texas License to Carry and then you say because I did not want to spend the money to obtain the training in order to get one. He will then turn to the jury and inform them you are trying to plead willful ignorance which means you just lost the case. You should be able to find a class in this area for $65 to $85. Maximum classroom time is 4 hours plus another hour for range qualification. Small price to pay for a good nights sleep.